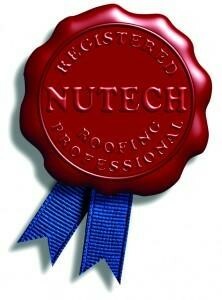 Custom Coating Restorations is an official Nutech Paint Roofing Professional. This revolutionary coating combines advanced technology to resist peeling, cracking, blistering and delamination to ensure coating performance. NXT Cool Zone- Infrared heat reflective techology- available in high-gloss and matte finishes. Cool Roof reflect up to 98% of the suns heat from infrared light. Cool Roof Coatings are extremely moss resistant. Coatings are Acrylic, water-based special purpose system designed to seal and adhere to cement and concrete roof surfaces. 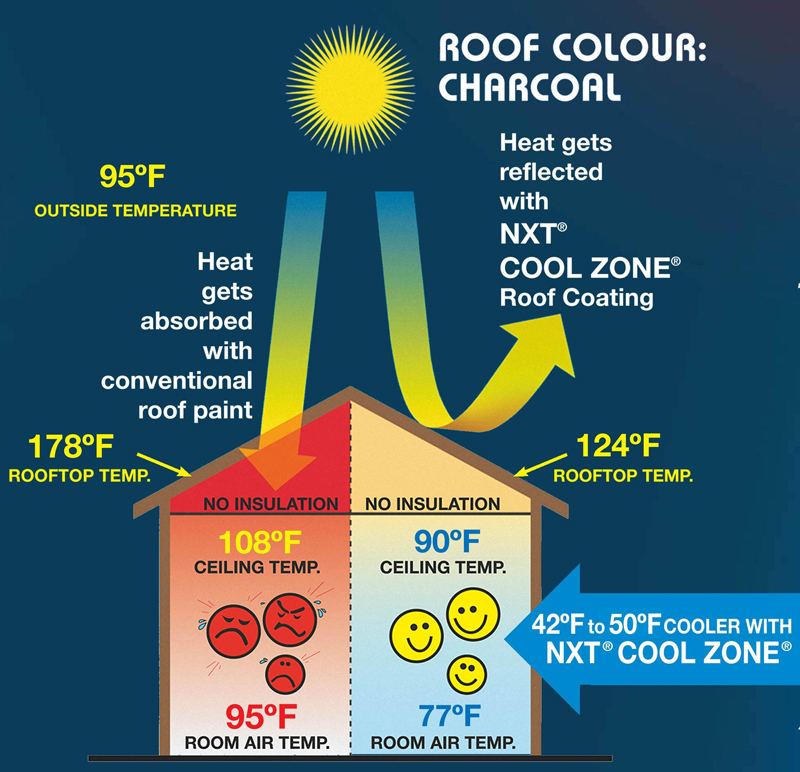 Cool Roof Coatings Reflect infrared light rays away from the roof’s surface, resulting in reduced transient heat entering the roof space and home during hot weather. Custom Coating Restorations, located in San Diego, California, offers professional roof coatings and restoration services for tile roofs. We are official Nutech Paint Roofing Professionals, using revolutionary products that prevent peeling, cracking, delamination, and blistering. We use only premier products and cutting-edge technology to get the job done right. mprove aesthetics and durability. We can clean your existing tiles, color match your tile roof, or seal the tiles with premier roof coating products. 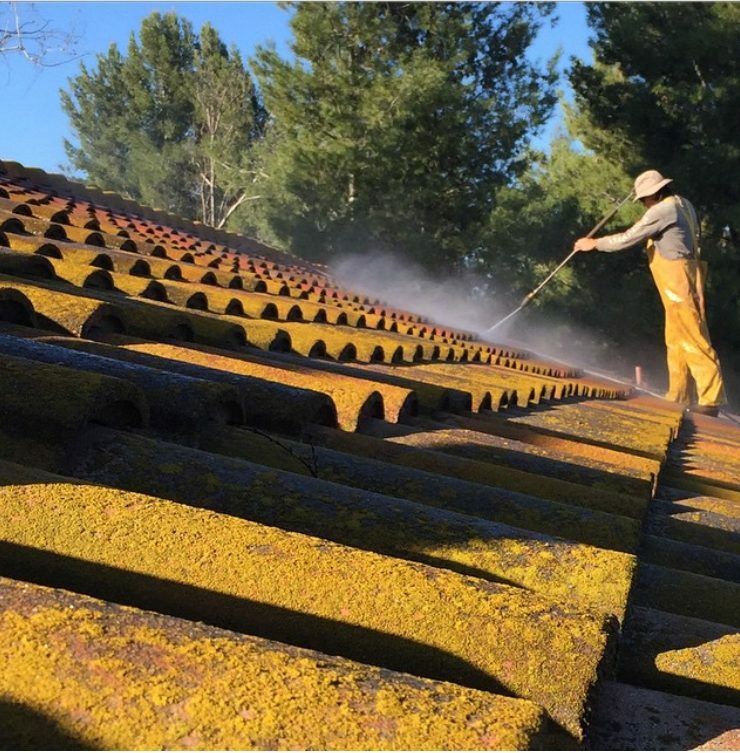 For more information on roof tile restoration or coating services, contact us today!